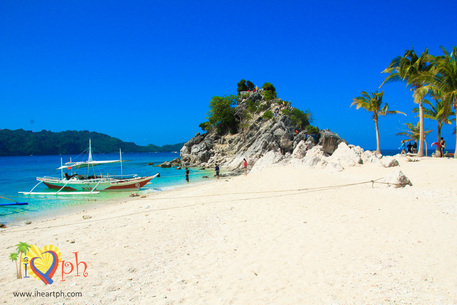 Being the icon of Isla de Gigantes, Cabugao Gamay is probably the most photographed island in Gigantes Sur. 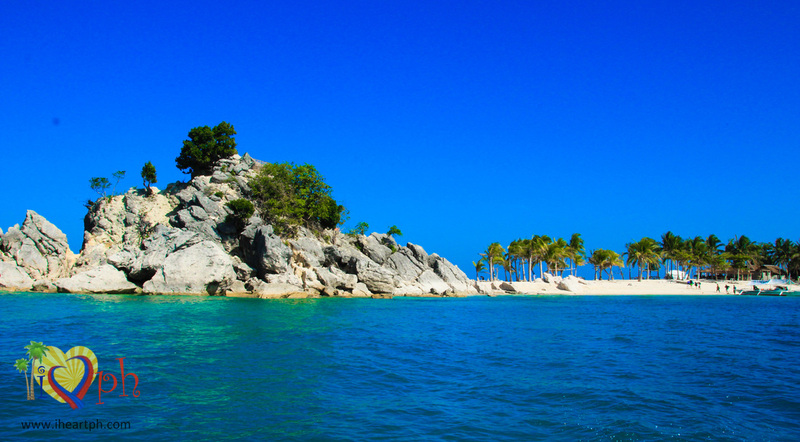 Upon reaching the island, you will immediately notice its unique shape, its powdery white sand and the healthy coconut trees lined up against the blue skies. 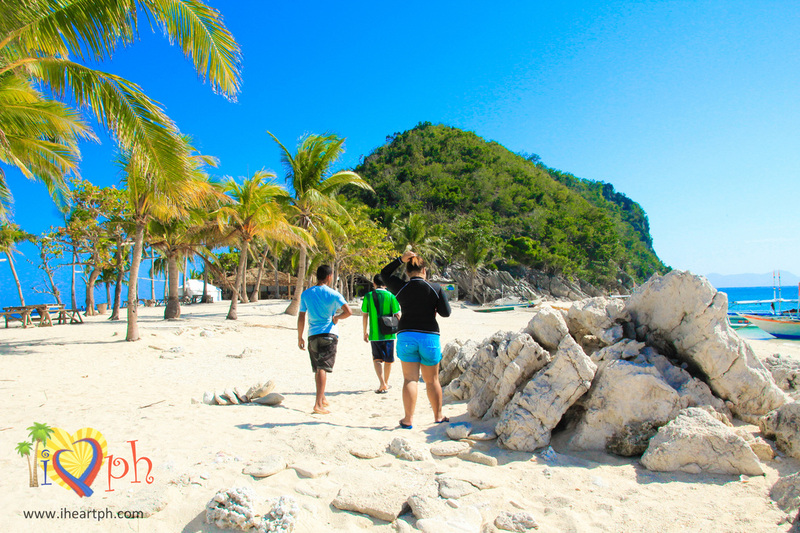 Unlike other islands I've seen in various trips to beaches, islands in Gigantes have a unique shape. Cabugao Gamay looks like two islands -- one bigger than the other -- separated by a sandbar in the middle. Antonia Beach has a very similar shape but larger. Unlike Antonia Beach, both sides of Cabugao Gamay are good spots to swim in, with one facing the sunrise and another one facing the sunset. In one of the two boulders of earth/rocks is the view deck, where tourists can appreciate the island from a bird's eye view. It takes about a minute to two to get to the top -- a very easy climb. 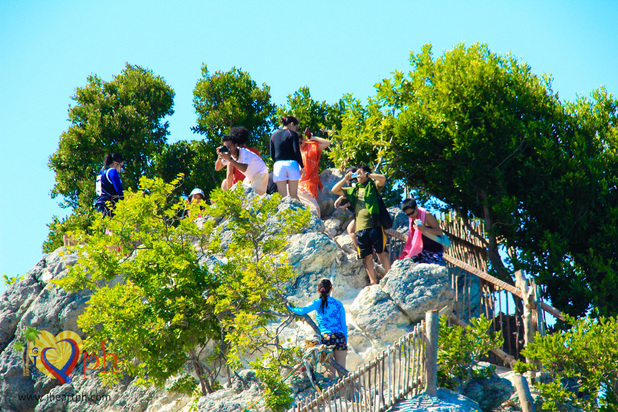 It's even easier to climb now that wooden railings and several wooden floorings have been set-up for tourists. The view deck is quite small and based on my estimate, it can only accommodate up to 10 people at a time. There's also only one spot where you can take photos so you'll have to wait for other tourists to finish having their photos taken. 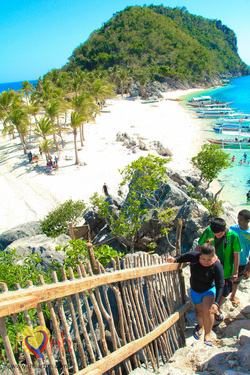 Even without finishing the climb all the way up to the top, the view remains magnificent -- the powdery sand made unbelievably white by the noontime sun, the greeneries blending with the blue sky and blue green waters, and the boats accentuating the shore. Although we were not there during sunrise nor sundown, I would expect that it will be even more picturesque during these times of the day. Don't be afraid to climb to the view deck. The view is spectacular from high up. Bring a good set of footwear. 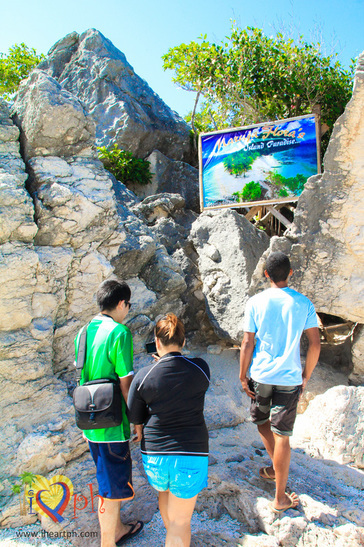 You'll be climbing over limestone rocks so better if you have a sturdy set of slippers or booties. Don't forget to bring your shades or hats and wear sunblock. Bring your underwater camera if you are planning to swim around the island. The water is so clear and can be a perfect spot for an underwater selfie. This is a secluded and almost uninhabited part of Cabugao Gamay so don't expect to do anything but laze, lounge, loiter, swim, snorkel, relax, daydream and reflect. If you are the kind of person who cannot stand doing nothing, better bring some good books to read, board games or playing cards. 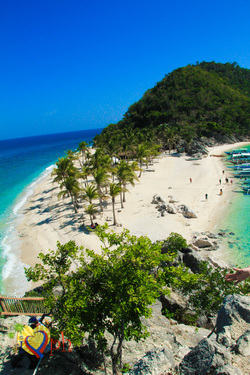 All-in-all, I spent less than P2,000 for the trip to Isla de Gigantes. ** The rate will depend on number of pax and services included. Please inquire through their Facebook page. 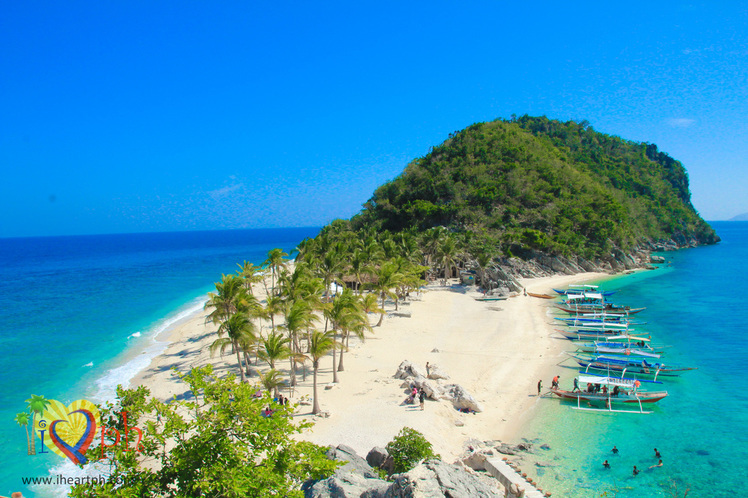 Alternatively, here is a list of resorts that you could stay in in Gigantes Norte. If you are looking for resorts in Roxas City or Iloilo City, please use the box below. First, you need to go to Estancia port. If you are flying from somewhere outside Panay Island, there are several gateways to Estancia: one is via Roxas City and the other one is via Iloilo City. Roxas City is only about 2 hours to Estancia while Iloilo City will take about 3-4 hours. From Roxas City: Ride Estancia-bound Ceres bus or L300 from the Roxas terminal. The trip will end only at the Estancia bus terminal so you'll need to ride a tricycle going to Estancia port. From Iloilo City: From Iloilo City, go to Tagbak Terminal in Jaro District and ride a bus/van to Estancia. Again, trip will end at the Estancia bus terminal so you'll need to ride a tricycle going to Estancia port. 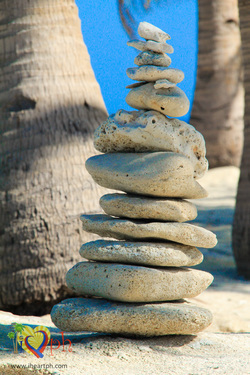 From Estancia Port: Estancia Port is the most popular jump off point going to Gigantes Norte or Sur. 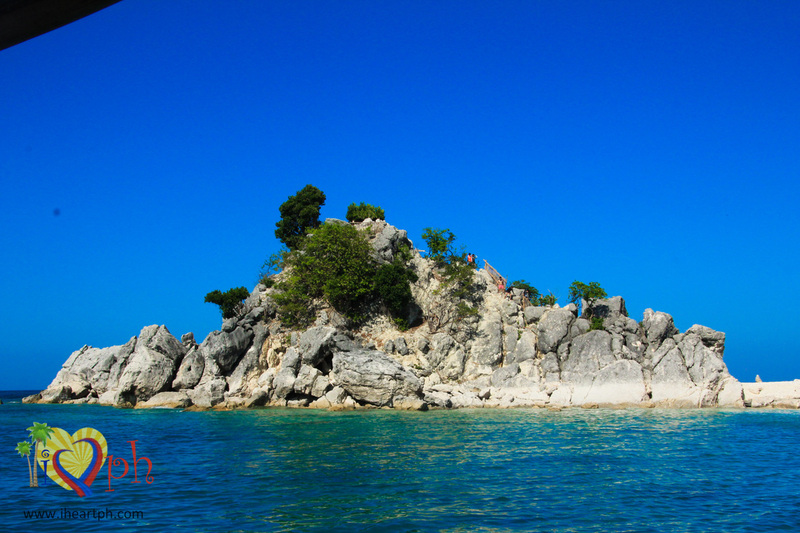 From the port, you will need to ride a passenger boat which travels to Gigantes once at 2PM daily. The same boat goes back to Estancia port once daily, too, at 9AM. You can also opt to hire a private boat at a more expensive price. Our trip was made possible by The Gigantes Experience, which you could contact through their official Facebook page. My name is Heart. I am a Filipina traveling around the Philippines [and beyond] while working from home [or anywhere] as a research analyst. Leaving my full-time corporate job was the best decision I've ever made. This blog is a documentation of my wanderings and adventures. Hope you find inspiration and information you need to fuel your wanderlust.